Discover out-of-the-way places like Room Escape Games and German Historical Museum. You'll find plenty of places to visit near Berlin: Memorial and Museum Sachsenhausen (in Oranienburg) and Potsdam (Sanssouci Park, Potsdam's Gardens, & more). 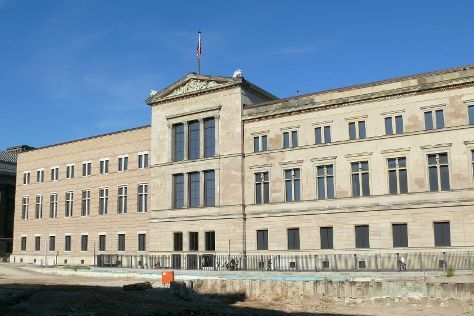 And it doesn't end there: examine the collection at Neues Museum, appreciate the history behind Victory Column (Siegessaule), sample some tasty brews at a beer tour and tasting, and explore the wide array of goods at Kaufhaus des Westens (KaDeWe). To see reviews, ratings, photos, and tourist information, read our Berlin trip planner . If you are flying in from Hungary, the closest major airports are Berlin-Tegel Airport and Berlin-Schönefeld Airport. Finish your sightseeing early on the 9th (Sun) to allow enough time to travel back home.